As I had a couple of days off work, I was looking to do a game on Tuesday night. 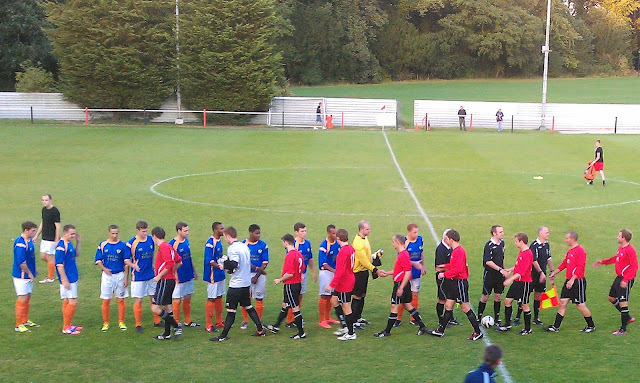 Always a big fan of the FA Cup, I settled upon the game between Tring Athletic and Ashford Town. 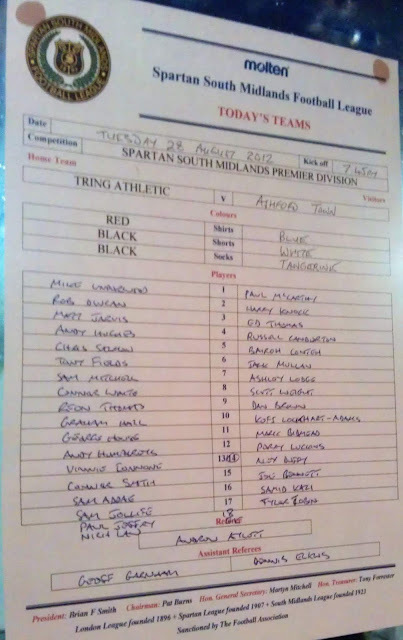 The original game had been played at Ashford Town's Short Lane ground and had been drawn 2-2, a significant result, taking into account that Tring were a division below Ashford. I had originally been planning to do a game on Monday too, over in Oxfordshire at North Leigh. But I was so tired after work, working for 6 days solid and at a crazy pace that I decided to rest for the afternoon instead. It did me the power of good, come Tuesday evening I was raring to go and so with my batteries fully recharged I left home at 6.35 and despite multiple tractors driving along single track roads and getting in my way, I was still at the ground at 7.10. I paid £5 to get in, plus £1 for a programme and after taking some pictures of the ground went and took a seat in the stand. 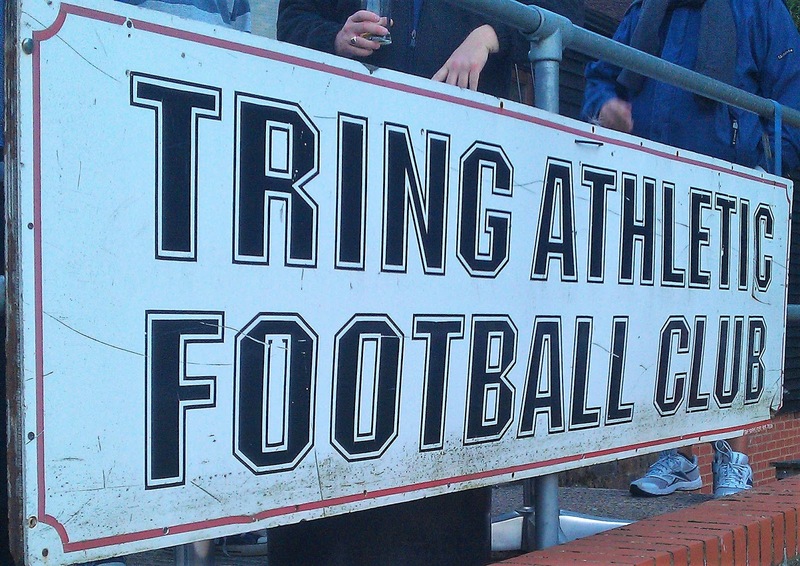 Tring Athletic were a bit of a disappointment on the night. After a battling performance to earn a draw on Saturday, I would have expected more of them as the home side. Ashford took the lead in the 12th minute, a home defenders clearance went straight to Dan Brown who controlled well and slotted past the keeper. 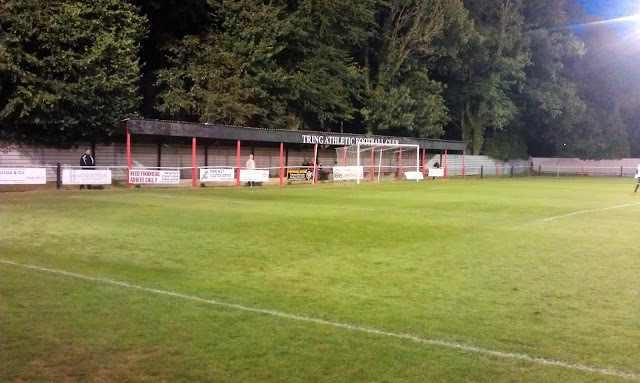 Tring actually had a chance to equalise in the 24th minute after a challenge felled the home striker. But Tony Fields' effort was saved by the Ashford keeper Paul McCarthy, Despite pinball ensuing in the area, the visitors survived and added to their lead on the half-hour when Kofi Lockhart-Adams drive found it's way into the bottom right-hand corner. 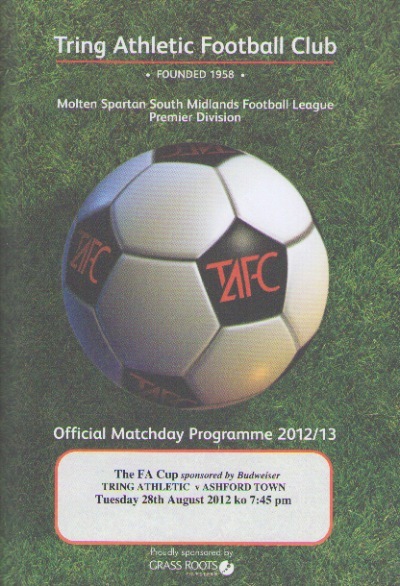 Ashford had chances to add to their lead, dominating the second half, but in the end, it stayed at 2-0. After a much easier drive home, I was back in 25 minutes, arriving home around 10PM having enjoyed a good value night of cup football. THE GRASS ROOTS STADIUM is set in picturesque surroundings in the Hertfordshire countryside. Originally the home of Tring Town FC, the 2 clubs merged in 2003 and kept the Athletic name. On Wikipedia, it claims the stand seats 125, but it seems more than that. It's a stand that has its pros and cons. You get a good elevated view, but then again there are wooden pillars to contend with. And the front of the stand covers the near touchline when you are looking down onto the pitch. But overall it's a good view and the wooden built stand is certainly more interesting than the standard metal stands with plastic seats that are seen nowadays in so many non-league grounds. There is also a decent covered area behind one goal, with a few seats and standing as well. The rest is just open standing, but really it's a well-specced ground for this level. There is a decent bar too, they serve Thatchers Gold Cider and a local ale from the Tring Brewery, as well as the usual standard stuff you get in other places. 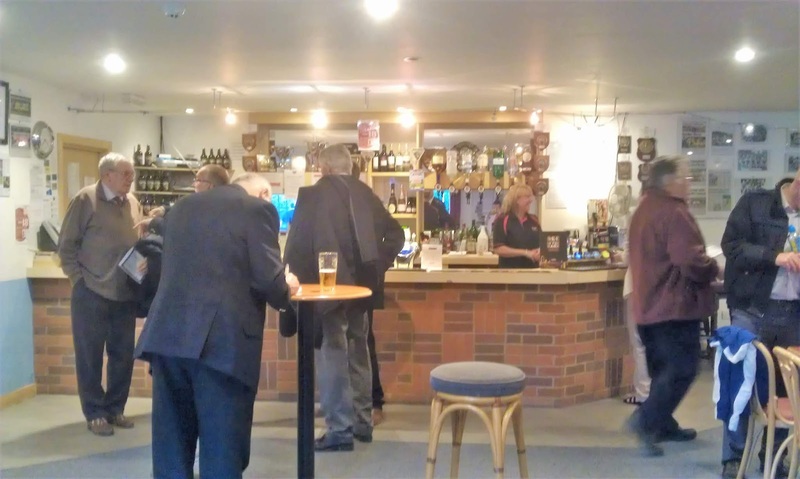 They also do food in there (Burgers, Hot Dogs and Bacon Rolls) and also a selection of club merchandise, but no old programmes sadly.